Painting with acrylics can be rewarding, easy and fun. It's one of my favorite types of paint, because it is so versatile. Acrylics can be used in many different ways to create many different styles of art. Click here to see examples of different types of acrylic paintings. On this site I will share with you the techniques that I used to create each type of artwork. Whether you want to learn to paint abstract art or photorealism, this site will show you how to do it. 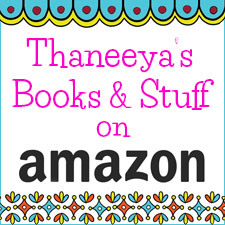 Scroll through the Table of Contents below and see what strikes your fancy! Read an overview of the basic characteristics of acrylics. This will help prepare you with what to expect while painting with acrylics! 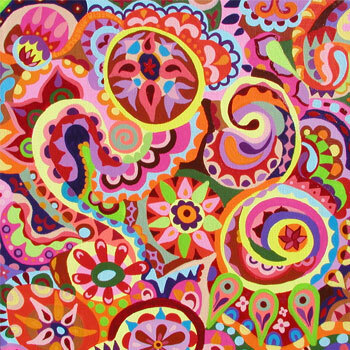 Also see some examples of different types of artwork that were created with acrylic paint. 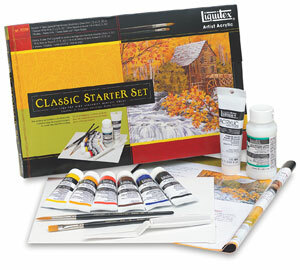 Learn about all the basic art supplies that are essential for painting with acrylics. 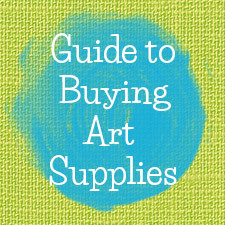 This page explains the necessary art supplies for getting started with acrylics, with links to even more info! Read this in-depth 15-page Step-by-Step Guide on How to Paint Photorealism in Acrylics. Contains everything you need to know about painting photorealistically in acrylics, from start to finish! An easy lesson on how to paint abstract art with acrylics. 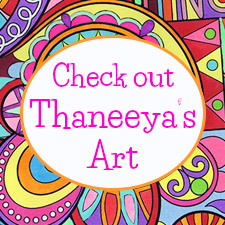 Includes progress photos and instructions for creating your very own colorful abstract painting! Suitable for all skill levels. Ready to varnish your finished acrylic painting? Find out how to varnish an acrylic painting, with tips and step-by-step instructions. Overview of Acrylic Painting Supplies: Get your feet wet by perusing this quick overview of the basic (essential) and extra (non-essential) acrylic painting supplies. Acrylic paints: Find out what acrylic paints you should get if you want to get started with acrylic paintings. If you're a total beginner to painting with acrylics, learn what paints are best for you! 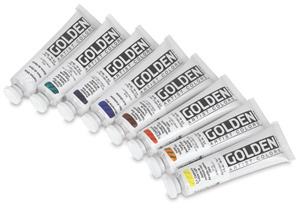 Golden Paints is one of the best brands of acrylics. Find out why, and learn about the different types of acrylics they offer. Artist Palette Guide: Need help choosing an artist palette? Read this handy Artist Palette Guide which provides an overview of the 9 main types of palettes available. Also includes handy tips for keeping your acrylic paints from drying out! For even more info and links to buy, check out this additional page on artist palettes for acrylics. Paintbrushes for acrylics: This in-depth guide explains the different types of paintbrushes for acrylics and what they are used for. You will also learn how to care for your paintbrushes and clean them properly. Different types of paintbrushes & what they can do. Learn how to choose the right paintbrushes. How to clean, store and transport your paintbrushes. Which brushes to get if you're a beginner, with links to buy. What should I do with the sides of the canvas? What should I do when a canvas warps or gets a dent? 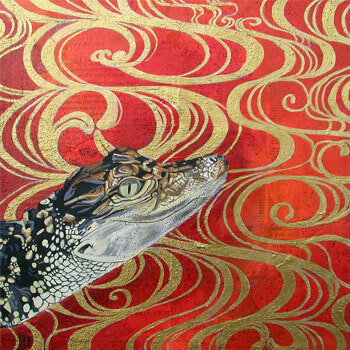 Other Surfaces for Acrylic Painting: In addition to canvas, there are several other surfaces that can be painted on with acrylics, such as wood, metal, paper and more. Learn about these various surfaces! Gesso: What is gesso and why is it important? Find out! Learn about all the different types of gesso. Discover how to prime canvas with acrylic gesso. Artist Easels: Learn about 10 different types of easels and find out which one is right for you! Acrylic Texture Mediums: Find out how to add an extra dimension to your acrylic paintings by using acrylic texture gels or mediums! Palette Knives and Painting Knives: Find our what they're used for and how to use them. Also check out paint shapers, another tool that can be used to make acrylic paintings. Varnish: Learn about different types of acrylic varnish (resin and polymer) and the sheens available (glossy, satin and matte). I've compiled a list of questions people have asked me over the years, along with my answers. You can browse through them on the Acrylic Painting Techniques & Tips page. You can see more of my painting with acrylics at my website! Acrylic paint dries quickly. This can have its advantages and disadvantages. For one thing, painting with acrylics is great if you like to work quickly. It is also very easy to "go over" if you've made a mistake. The main disadvantage of the quick drying time is that sometimes it can be difficult to blend colors, but this can be remedied by using Open Acrylics (which take longer to dry) or by mixing in an acrylic medium, like retarder (which extends drying time) or flow release (which increases color and blendability). Acrylics are very versatile, which means they can achieve many different effects and be easily used for a variety of styles. For instance, they can be applied thickly or thinly. The texture and consistency can be modified with acrylic gels, acrylic mediums, or pastes to create various effects. For example, you can add sand gel or glass bead gel to create funky textures. Or you can mix acrylics with clear tar gel to produce a stringy, tar-like paint that is great for dripping. Acrylic mediums can also be used to alter the sheen of the paint, causing them to have high gloss or matte sheens. There are many enticing gels, mediums and pastes on the market to mix with acrylics to enhance and alter the quaility of the paint. Acrylic paint lends itself well to mixed media applications, which further broadens the possibilities of painting with acrylics. 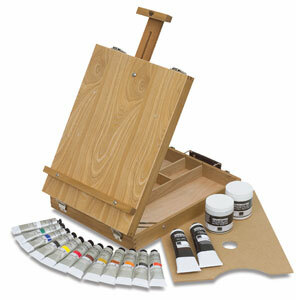 The most popular surfaces for painting with acrylics are canvas, wood, or paper. But once primed with gesso, acrylics can be painted on almost any surface, such as fabric, clay, or even your old vinyl records! If you get bored with the brush, you can use a variety of other tools, such as scrapers, toothpicks, sponges, Q-tips, etc to create various effects. The final finish of the painting can be altered with gloss, matte, or satin varnish. When properly varnished, acrylic paintings do not need to be framed behind glass. They can be hung directly on the wall. You can even paint the edges of the canvas to match the front, for a cool contemporary aesthetic. If they collect dust, simply wipe the surface gently with a damp cloth. 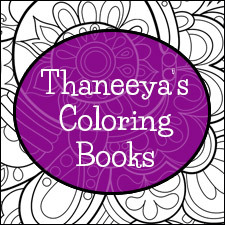 When you purchase one of our recommended products we receive a small commission that helps keep this site running. Thanks!